How to Price Your Raleigh Home | Puck Realty, Inc.
Pricing your Raleigh home correctly is a lot more important than you might think. A price that’s too high will scare people away, but if you price it too low, you could miss out on a lot of money a buyer would have happily paid. You need to determine a price that will be competitive in your market yet still get you the largest payoff. These four tips from Puck Realty will help. The Internet is a very valuable resource for sellers. There are pricing tools that will give you an estimate of what you should sell for. You simply need to provide your address and a few details about your Raleigh house. Some will also tell you what similar homes in your area are currently priced at, as well as information on homes that have recently sold. A pricing tool will give you a general idea of what ballpark you should be in, but it’s definitely not something that should be completely relied on. A real estate professional will walk through your home and notice details that may give you an edge and increase value, as well as things that could be working against you. A professional may recommend small renovations and make suggestions that could help, such as changing bold paint to a more neutral color or making upgrades, such as hardware and lighting. They may consider other homes on the market, school district, and demographics when making suggestions. Some Raleigh homes are naturally going to attract a bidding war. Of course, there are also things you can do to attract multiple offers, such as clearing the clutter, depersonalizing, and deep cleaning. Take steps to make sure buyers can see themselves living in your home. You also want to make sure key selling points are listed, such as school district, parking, access to public transportation, etc. A common problem is pricing too high because of emotional attachment. You love your house. You have made some amazing memories there, and you have worked hard to pay for it. So, naturally you may feel that it is worth a little more than what the market thinks. Your emotions simply cannot be considered when determining a price. This is another reason why consulting a real estate professional can be so helpful. They don’t have an attachment to your home and therefore can be more objective with pricing. 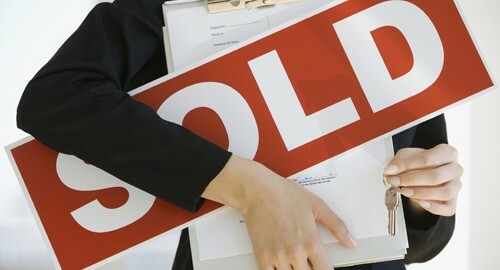 Pricing your Raleigh home can be a daunting task, but it is really important to get it right. This four-point approach will help you sell as quickly as possible, but also help to get you a fair price.